While in the USC Trojan Marching Band, Tom met a young woman from Georgia. He and Jenny married and after graduation from dental school, they moved to Georgia. Dr. Harmon initially practiced for 6 years in Dalton, GA with his wife’s dentist, before moving to Atlanta. 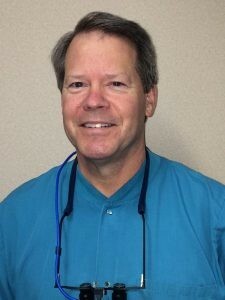 After owning his own private practice for many years, and being tired of the hectic city life and traffic, he recently chose to move back to North Georgia. Dr. Harmon has been with Foothills Dental Associates since early 2015. “This community feels like home. I’m glad to be here, serving the dental care needs of a North Georgia community once again”.